Mental illness has become prevalent in most of the countries. If we only take the US into account, approximately 48.3 million adults have been reported to experience mental illness each year. With mental illness and other mental health diseases taking a toll, it is vital to prioritize mental health and practice self-care. Thankfully, self-care apps have come into existence, helping people pay attention towards their mental health and practice a self-care regime. Self-care apps have been designed for people who, despite their busy routine, are willing to maintain a healthy lifestyle and feel better. Nowadays, the majority of people, especially full-time employees, find it hard to take out some time to prioritize their mental health and practice self-care due to their hectic work schedules. Their busy work routine can become a hindrance for them, not letting them schedule an appointment with a therapist or read a good self-help book. 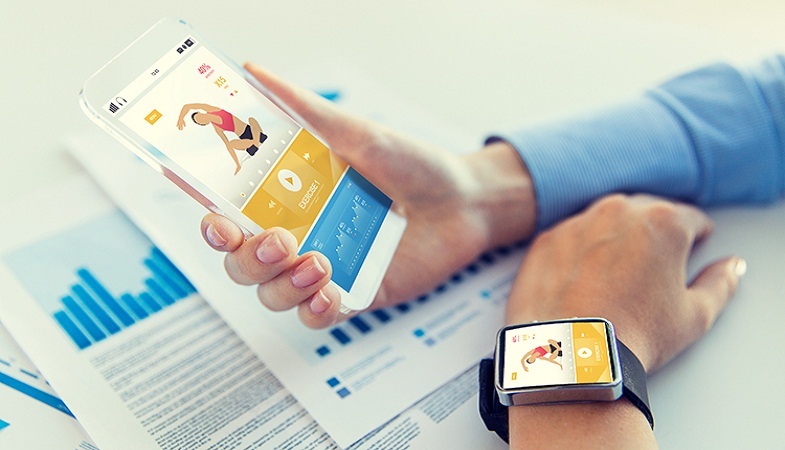 Fortunately, they can now use their phone to boost their health, fitness, and wellness with the help of self-care apps. There is no doubt about the fact that technology has come a long way in the last couple years. 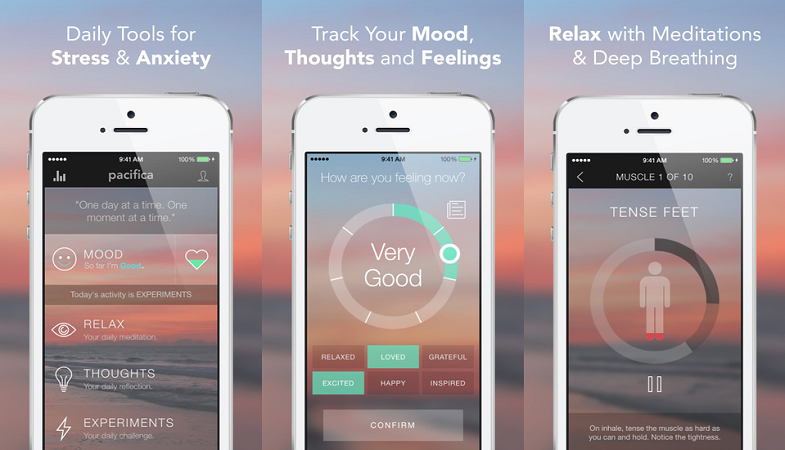 There’s an app for almost everything now, including mental health and self-care. With the help of self-care apps, you can now boost your self-care routine in an easiest, affordable, and convenient way. Moreover, unlike other alternatives, these apps are not nearly time-consuming. With the passage of time, more people are now becoming obsessed with self-care and it’s beginning to pay off quite well for the developers of self-care, mental health, and digital wellness apps. According to the data derived from the multiple app store intelligence firms, the self-care category has shown an incredible growth, indicating how popular self-care apps have become among the users. The reason why self-care and physical well-being apps have seen a notable growth is because most of us are constantly living under stress and pressure these days and we all want something that can help us focus on our well-being and how we can improve it. Self-care apps have proved best in this regard. So, do you want to live a happier and a healthy life? Below are some of the best self-care apps that can help you maintain a healthy life, improve your mood, feel less stressed and feel happier and healthier. 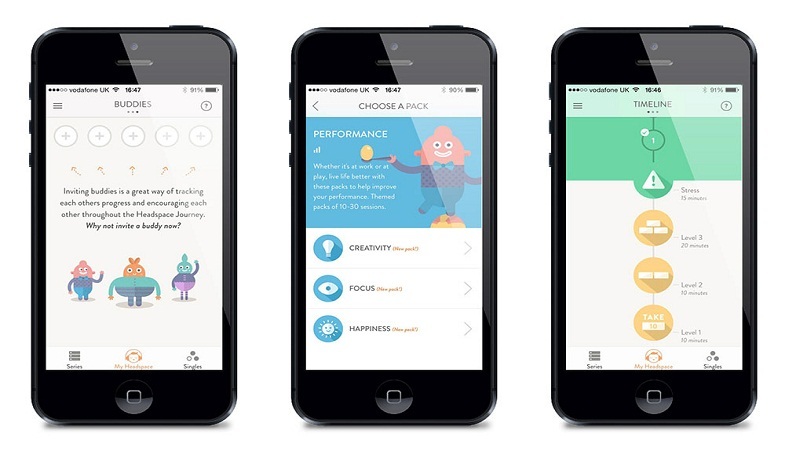 Headspace app has been designed with an aim to teach you how to meditate. Since meditation has been proved to be a powerful and an easy way to boost your mental and emotional wellbeing, this app takes this thing seriously into account and comes forward to improve your mental wellbeing. Research has shown time and again how beneficial meditation can be for us; it helps lower blood pressure, reduces stress, improves sleeping habits and lifts up your spirits. However, for some people, learning to meditate can be a bit complicated if they’re going to do it for the first time. This is when apps like Headspace come in. It teaches you how to meditate with fun, guided sessions, and interesting animations. It also makes you learn how to apply mindfulness techniques in different aspects of your life. Daily meditation reminders can be set up on this app at a time that is most convenient for you. Once you enable its push notifications, Headspace will send you mindfulness tips and positive affirmations throughout the day. This app works on both iPhone and Android devices and is available in both free and premium versions. It’s 10-day free basic course will help you learn fundamental techniques of meditation and mindfulness. To enable the app’s additional features, you can purchase its premium version to gain access to a massive meditation library. Like Headspace, Pacifica also helps with meditation but it’s more than that. This app has been designed to help you manage anxiety and stress to lead a happy and calm life. One of the best things about this app is that it helps you achieve your goals using cognitive behavioral therapy and mediation. On downloading the app for the first time, you will be asked to choose up to three goals from the list that includes increasing happiness, building confidence, meditation, health, and much more. This app provides tools for dealing with stress, anxiety, and depression on a daily basis such as daily challenges, mood/health trackers, community support, relaxation techniques, and psychologist-designed guided self-help paths. Furthermore, it also tracks your progress. The app will go on suggesting activities based on your current mood and overall goals. These activities will help you feel better and boost your mental wellbeing. With this app, you can also get to develop healthy habits that will help you progress gradually. Pacifica works on both Android and iPhone devices, offering a free basic plan to its users. 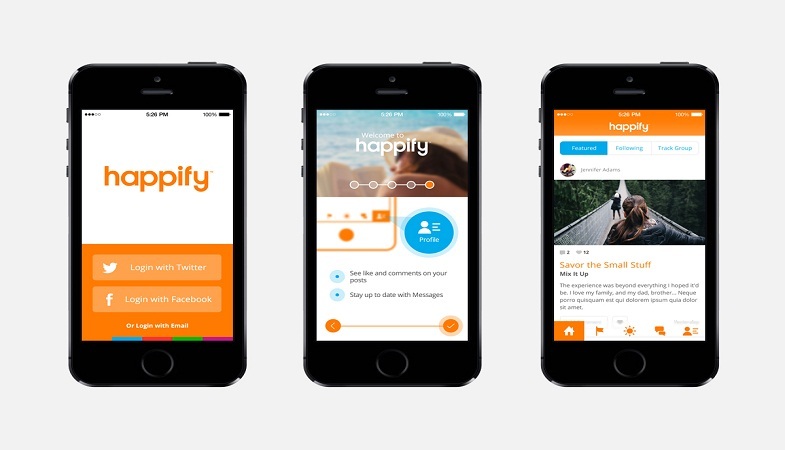 Like the name suggests, Happify app intends to make you feel happy all the time. Who wouldn’t want to break away the spell of negative thoughts and want to feel happier? We’re sure everyone does! This app helps you conquer negative thoughts and focus on how to lead a happy life. With the fun weekly activities that this app offers, you can break old patterns and develop new healthy habits. This help lets you set goals, helping you deal with stress, take down negative thoughts, motivate your career goals and much more. As per Happify’s official website, 86% of the users who use the app on a regular basis have reported feeling happier within just two months. The makers of the app have loaded it with fun activities and games that can help boost emotional well-being. There’s also a ‘happiness score’ feature in the app that is used to track your progress. To top it off, this app is free to download and can be used on both iPhone and Android devices.